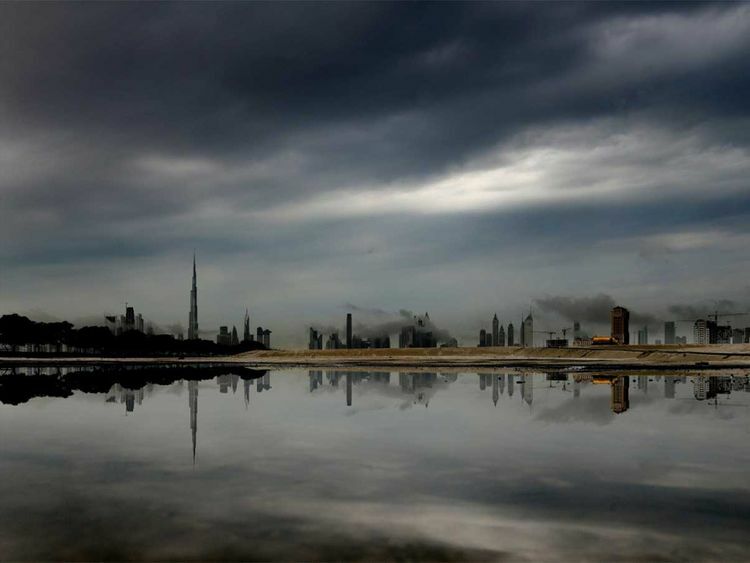 Dubai: UAE residents can expect cloudy weather and scattered rainfall today. According to the National Centre of Meteorology, NCM, parts of Abu Dhabi, Dubai and Sharjah received light rainfall during the early morning. Rainfall is predicted for the next few days as well. The NCM issued a warning for sea-goers in the Arabian Gulf to be cautious because of fresh winds, associated with clouds formation with wind speed of 40km/h. These winds can cause blowing dust and visibility is expected to be poor, less than 2,000 meters, from afternoon to 6:00p.m. The sea will be rough with wave height of 4 to 6 feet in depth until 6pm, the Centre said in a statement. As per the NCM weather bulletin, residents can expect temperatures to decrease on Saturday, April 6. However windy and dusty conditions will prevail over some parts. Temperatures will increase on Sunday. It will be cloudy over some parts of the UAE and strong winds will pick up dust and particles, affecting visibility.